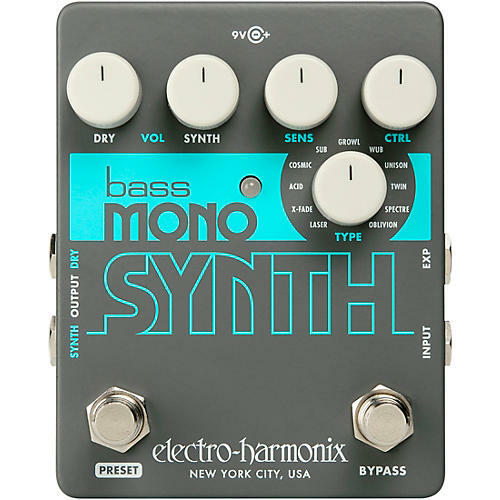 The EHX Bass Mono Synth transforms your bass into 11 great-sounding synthesizers, from vintage synth emulations to thick, stacked voices to deep pulsing sounds and more. Using the built-in Preset footswitch, a user customizable preset for each of the 11 synth sounds can be created, saved and recalled. The factory presets are also easy to restore should you wish to.